Win a Meet and Greet with Barry Manilow! Do you want to meet Barry? Yes, we know. We're way too excited for this and you should be too! Imagine this...champagne, front row tickets, chatting it up with Barry Manilow and a picture to commemorate the night forever. This all could be yours when you enter our raffle to win a Platinum Experience with Barry at MANILOW: Las Vegas at Westgate Las Vegas Resort & Casino. Earn BONUS raffle entries by sharing with your friends, following Barry on his socials, and by adding his new Facebook Messenger account as a contact to increase your chances. You do want to win this right?? 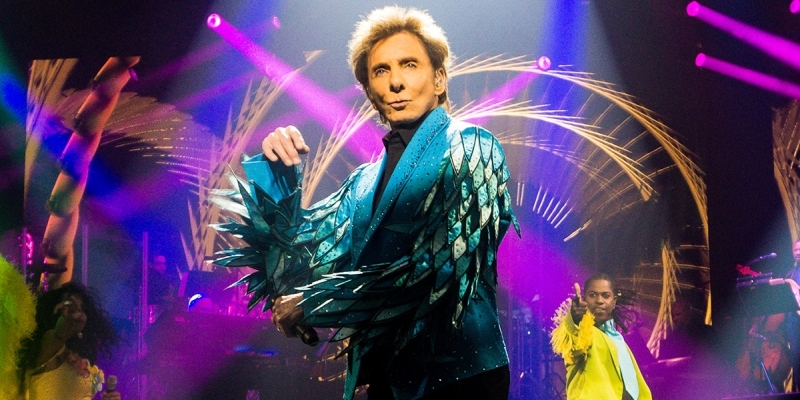 MANILOW: LAS VEGAS – The Hits Come Home! made its debut in May 2018, igniting rave reviews, sold-out audiences, and was awarded the Best of Las Vegas awards for Best Resident Performer/Headliner and Best New Show. The 85-minute show celebrates Manilow’s greatest hits, showcasing an astonishing FIFTY Top 40 singles including 12 #1's and 27 Top 10 hits.